I had my college orientation this week, and I got a Wii U, so I’ve been busy and not doing a lot of crafts. I haven’t been working on this as much as I should – otherwise it would be done! – because its not as mindless as the Hyrule Warriors Scarf. But I’m almost done! Maybe this afternoon I’ll finish. We had some friends over last Friday for what we like to call a “crafty day” where everyone sits around and does their own craft and we chat and eat food. I got quite a lot of stuff done then and since its still my summer vacation, I’m still getting a lot done. But I also started my first job yesterday (eight whole hours!) so that’s been keeping me busy (and sore). This simple, bulky, and unblocked scarf will transport you to the warmth and comfort of the Weasley’s home. 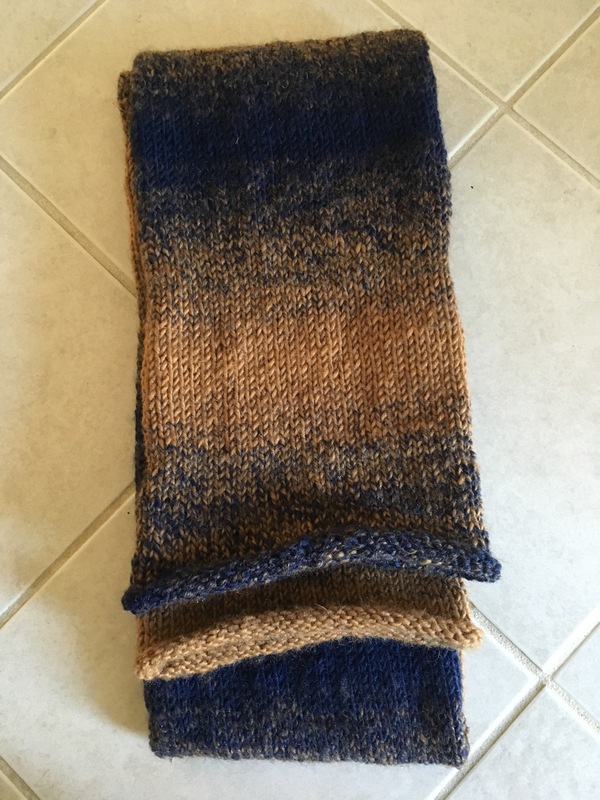 I make no secret of my love of all things nerdy and fandom-related, so a few years back I decided I needed to make a Fourth Doctor Scarf. Diligently I researched and found the perfect yarn, and found a website entitled Witty Little Knitter by Tara Wheeler (I can no longer find the site, but her Ravelry is still operational.) 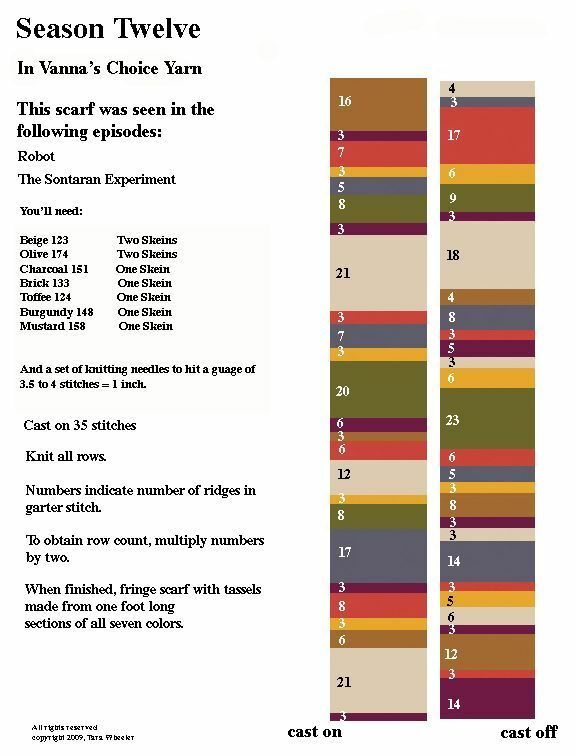 If you don’t know, Tom Baker wore several versions of the scarf over his term as the Doctor, but for my scarf I settled on Season Twelve. A new pattern is available on my Ravelry Store, the Tassels are in Cowl. 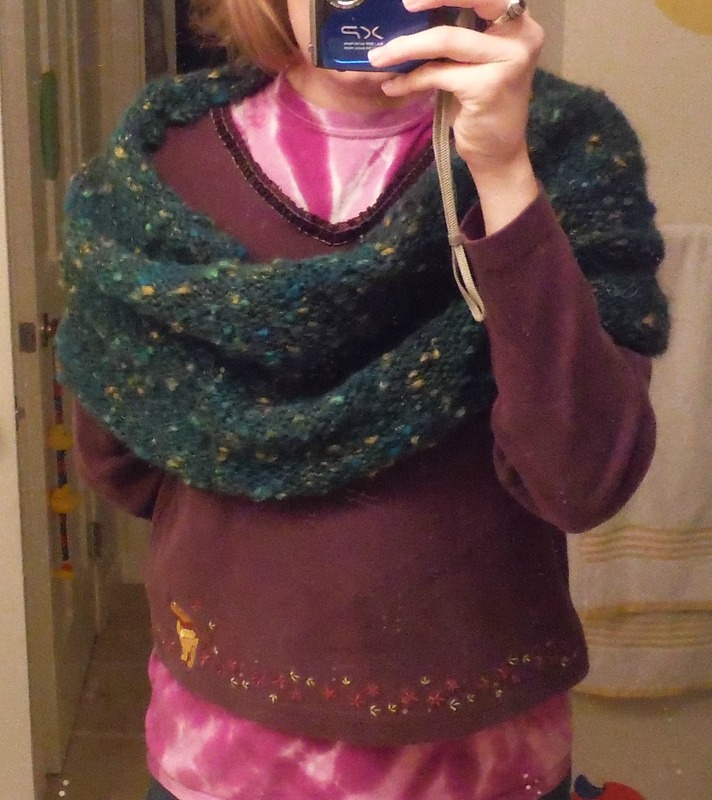 Its a very nice, very simple knit rectangle with tassels sewn along the bottom edge. 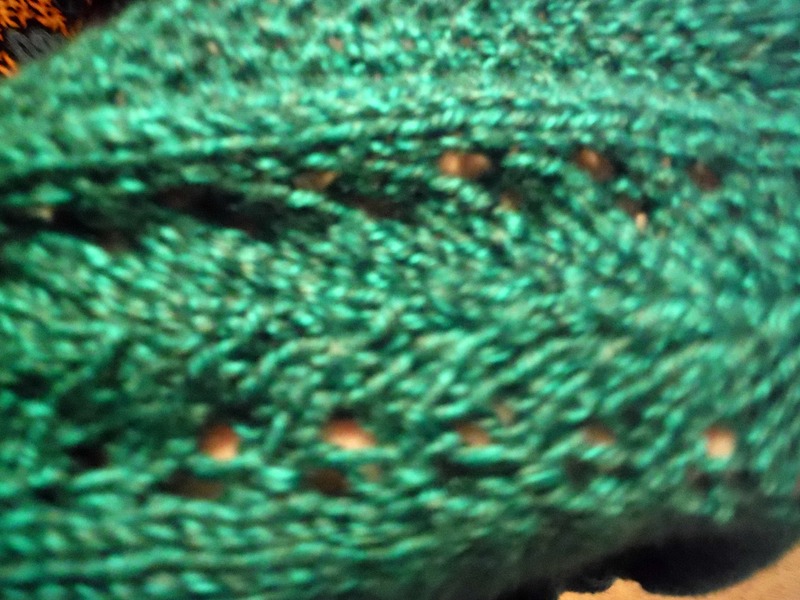 Knit on large needles and holding two strands of yarn together this knits up surprisingly quickly. I made mine in one evening while watching the Hobbit: An Unexpected Journey with my mother. Look how squishy it is, how can you not love? 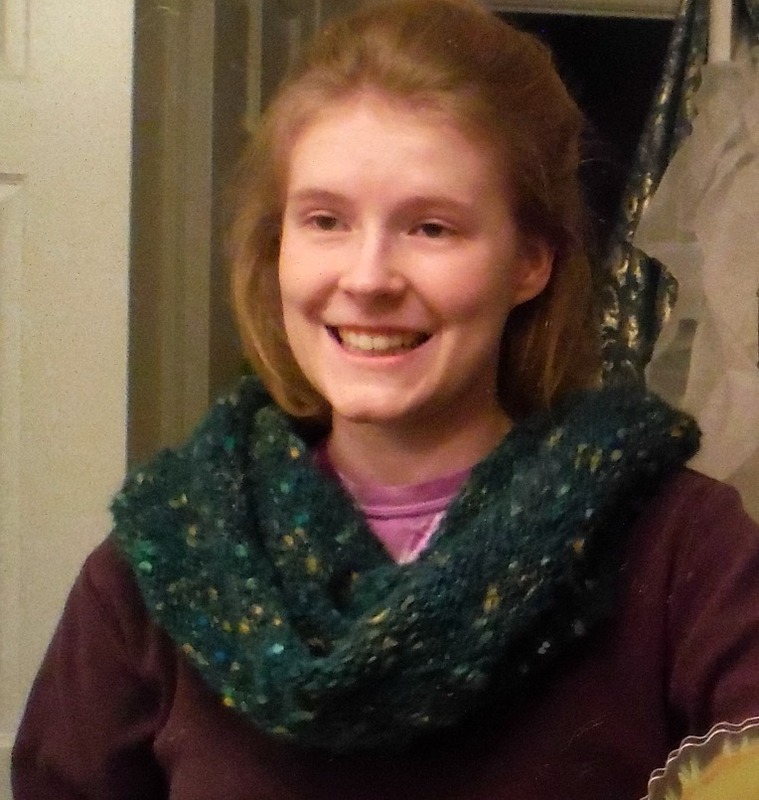 I’ve added a new cowl to my Ravelry Store! I call it the Sea Witch Cowl and it’s designed for that thick, squishy yarn that you bought on impulse and don’t know what to do with. 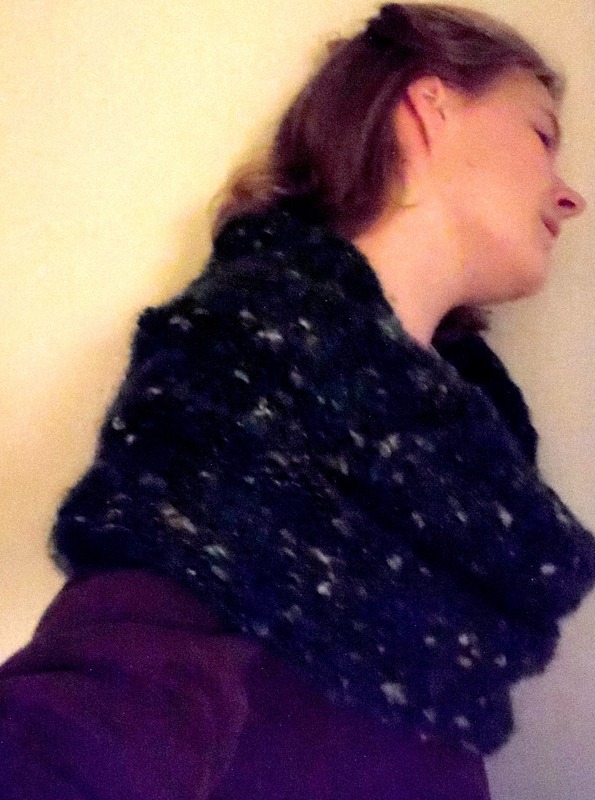 Knit loose and on large needles for a fast and stretchy cowl that is very variable. 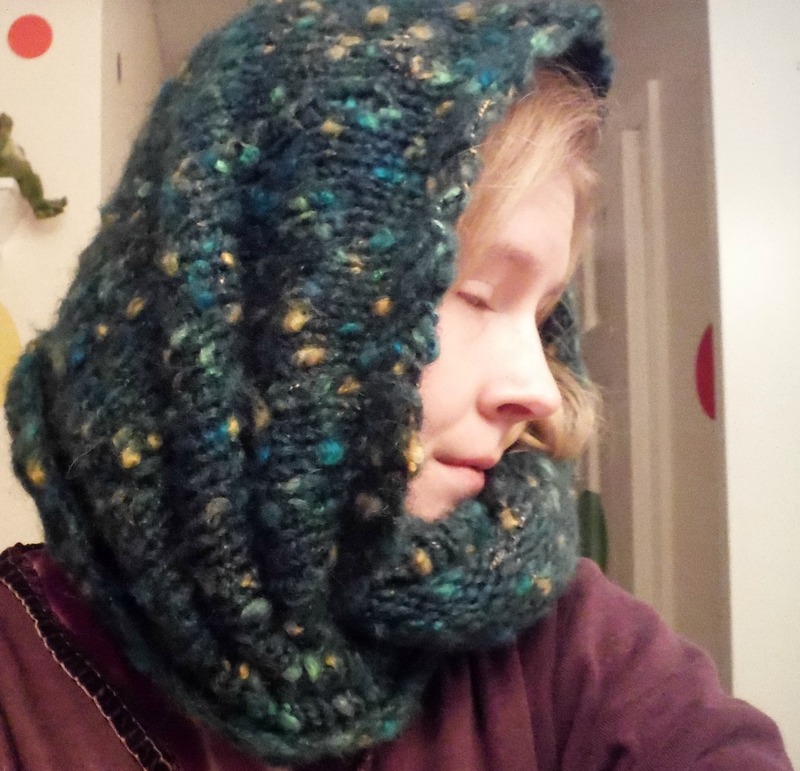 Drape once around your neck for a simple and warm look, or wrap twice and around your head for a cowl with a hood. 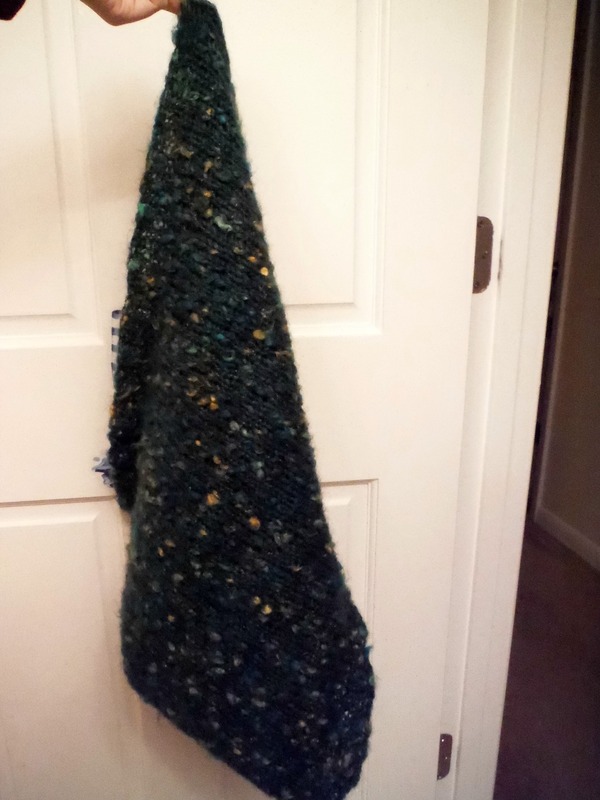 I really had a lot of fun making this, I carried it to school on several days (it squishes down in bags, and is simple stockinette stitch, so it’s easy to work on during class) and my friends all loved the texture and feel of the yarn, Cottage Comfort. I also recommend it for things like movie theaters and car rides, times when you don’t want to need to focus too terribly much.